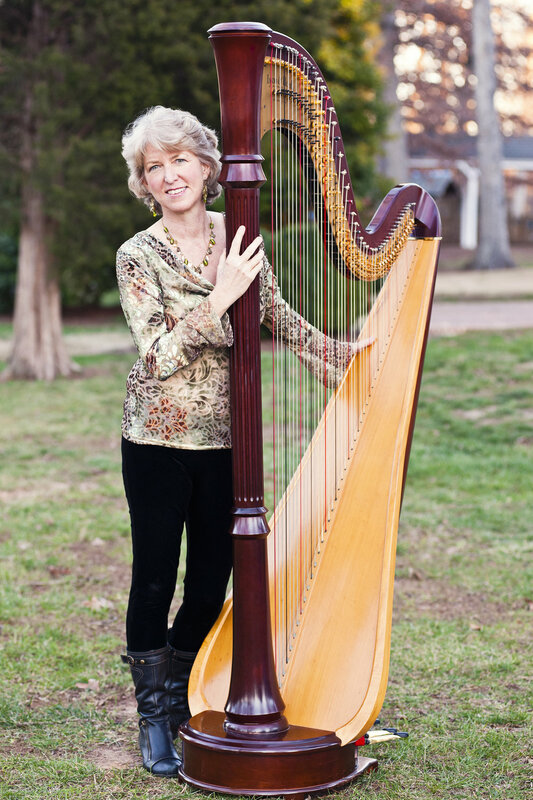 An overview of classes offered at the Southern Harp Festival. Have you ever wanted to be a fly on the wall during a private lesson with a master teacher? Now you can! Listen to participants perform solo pieces and learn from Ms. Rayan’s comments that follow each performance in this open lesson format. This hands-on workshop will start with the basic building blocks of rhythm (time signatures, notes, rests, beats, etc.) and move into different rhythmic patterns. We’ll learn the value of rhythmic patterns in the left hand for playing lead sheets, and once you get the hang of that, we’ll explore rhythms of other musical traditions. Some will be easy and some will be challenging. We will discover the fun of syncopation, complex rhythms, and conducting patterns. There will be lots of clapping and tapping, and you’ll be able to immediately translate these rhythmic concepts to the harp. By the end of class, you’ll be excited about rhythms—both old and new—and you’ll be able to apply what you’ve learned to your playing. This workshop will explore the hidden treasures of Brittany music. Today more than ever, it's deeply linked to dance and social life. In this workshop, Nikolaz will teach a piece by ear, and lead you through melodic variations, left-hand accompaniment, and step-by-step instant arrangement. Come join the fun of playing with other harpists and making music together. We will prepare 3 pieces of different styles with coaching from SHF guest artists, including an opportunity for improvisation! Everyone is welcome to participate. Find a part that is comfortable for you and play what you can. There's safety in numbers! We will perform our prepared pieces on the final concert Sunday afternoon. An exciting improv experience with Nikolaz Cadoret! Once registered SHF harp ensemble members will be e-mailed this tune. You must provide your own harp, bench and stand. There will be a storage area available between rehearsals and concert. Maria Luisa Rayan – Perform Like a Pro! 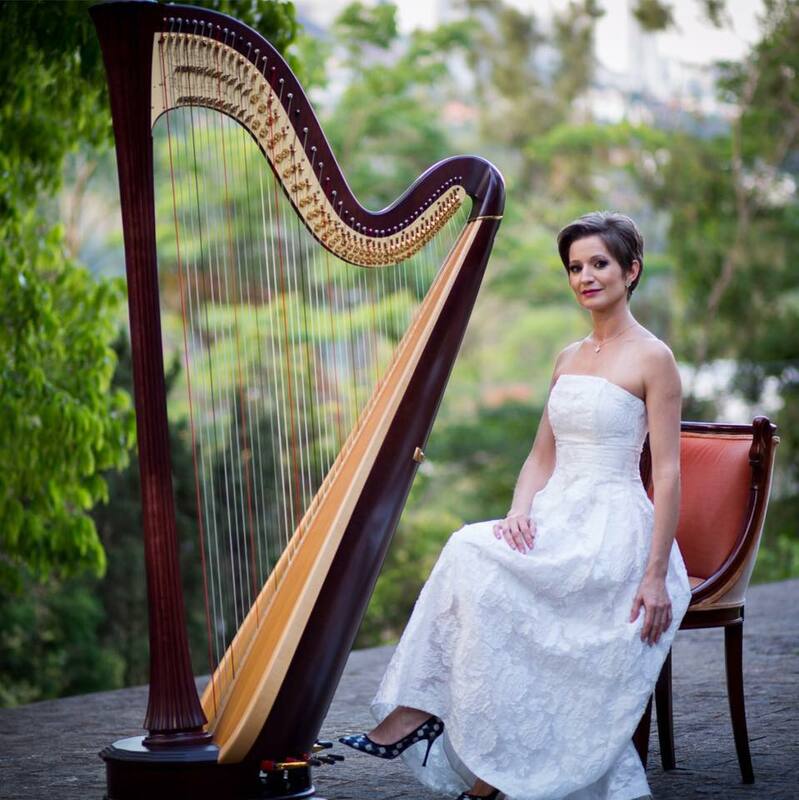 Ever wonder how a professional harpist looks so cool, calm, and collected while performing under pressure? Listen as our pro Maria Luisa shares her top performance tips to insure a fulfilling and happy performing experience. Learn how to manage your expectations, set appropriate performance and repertoire goals, and combat those pesky nerves! Composing for the harp is a two-step process. First you need to compose your creation. We will discuss various methods of composing as well as discover Frank’s unique approach to writing a composition. Secondly, you need to transcribe your music correctly so that it is easy to read and easy to play. Oftentimes, the difference between a good composition and a great composition is how well the composer understands and applies proper transcription techniques. We will conclude the workshop with a “composition by committee,” that is, the attendees will collaborate on musical ideas and together we will create an original composition using the concepts presented in the workshop. Ever wish you could quickly sit down and play a Celtic tune? Join Nikolaz for this class and enjoy learning a new Celtic tune by ear! Learn about modal variations and rhythm as Nikolaz leads you down an exciting path of playing this piece from “dancing harp” to free improvisation style. There may be no higher calling than when we are asked to play, or volunteer to play, for a religious service in a church or temple. For those for whom this may be a new experience, or for experienced church harpists who wish to get new ideas, this workshop is just for you! We will take a look at the practical side of playing in a religious setting, including a survey of major denominations and worship styles. The Liturgical Calendar will be explored, and we will see why “Salve Regina” will be a big hit at the local Catholic Church, but a bomb at First Baptist! Practical guides to repertoire, compensation, weddings, funerals and other aspects of playing in a sacred setting will be covered.